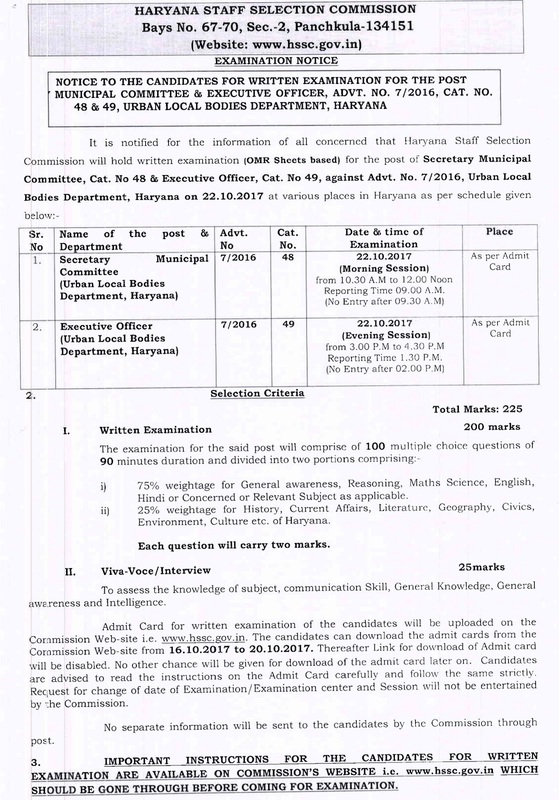 HSSC has Announced Written Exam Date for the Post of Muncipal Commitee & Executive Officer Against Advt. No. 7/2016 and Cat. No. 48 & 49. HSSC Written Examination for the Post of Muncipal Commitee & Executive Officer will be held on 22-10-2017. 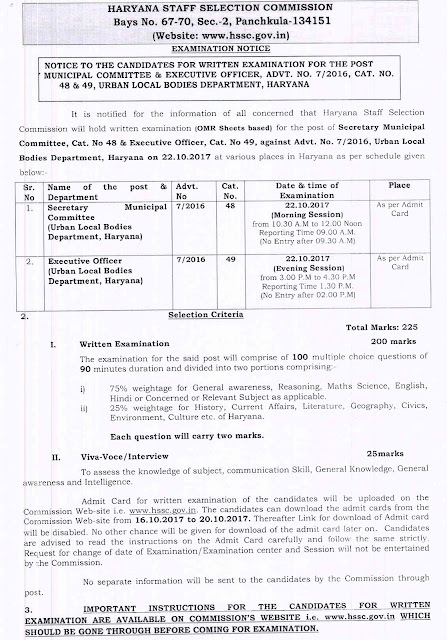 HSSC Admit Card 2017 for the Post of Muncipal Commitee & Executive Officer Against Advt. No. 7/2016 and Cat. No. 48 & 49.